So how do you organize your BMP-1 Troops. My co-author tends to have 2 sections one with the RPG Grenadier and Assistant Grenadier and 2 rifle. The other is the Squad leader 2 rifles and the SAW gunner (RPK 74). More typical historicaly seems to be Fire support team (RPG and SAW) with the Squads leader and a maneuver team of rifles. Which do you use most and why? Historical data is also welcome. Why- I'm about to base up my 1/144 BMP-1 squads. may help. Lots more if you look. I have my MR organised in companies as you describe Alan. Thanks, I had seen some of this. I am looking for the organization around 1985 of the individual BMP's. However its a bit late for me and BMP's are now 7 man squads not 8 or 9. I am looking for the basic 1985 infantry organization of each BMP. Page 55 details the BMP squad and platoon TOE. I've been lurking but not bad owt to say......but of a push to clear the painting decks too.....might be empty by 2025 but each rummage in the bunker seems to unearth something else!! I know your always looking , so what new gems have you unearthed Gary. Kamaz Typhoon MRAP, but of a monster truck! 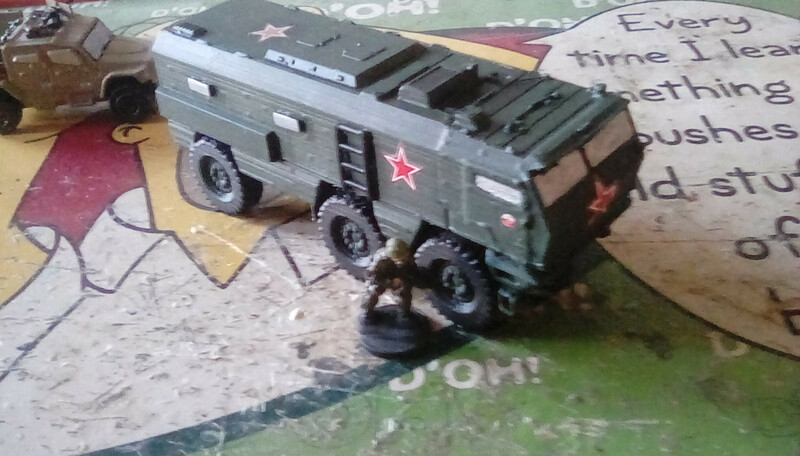 This is a 3D print from EBay shop Lumpeystoybox. A bit disappointing on first inspection, flat detailing around the cab doors etc and a very flat rear box......I've raided the spares box for add on greeblies, side boxes; roof top detail; side view ports and read door/ramp. It looks like this is a model of the prototype vehicle, the production versions have big flared wheel arches, rooftop hatches etc. Anyway pretty happy with how it has turned out! 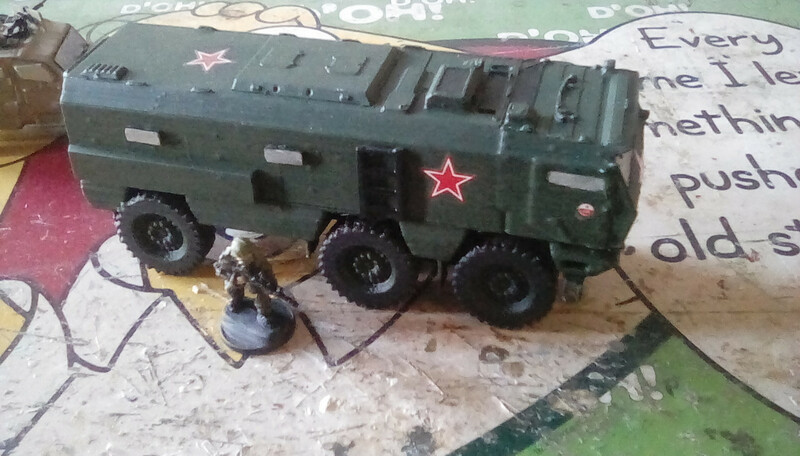 I have a Russian force of Gaz Tigrs, Vodniks and this beast, with an option to deploy robot AFV's too.